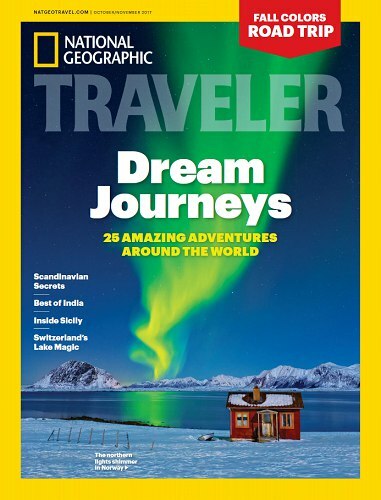 A couple years ago, I caught a flight to Cancun with little more than a duffel and a motorcycle helmet. My husband, who had been traveling around Mexico with some buddies, picked me up and I hopped on the back of his bike. The first thing we did in the dwindling light was head to a cenote just before it closed. We found ourselves blissfully alone, lolling in the preternatural stillness, the pool a collection of thousands of blues and greens. 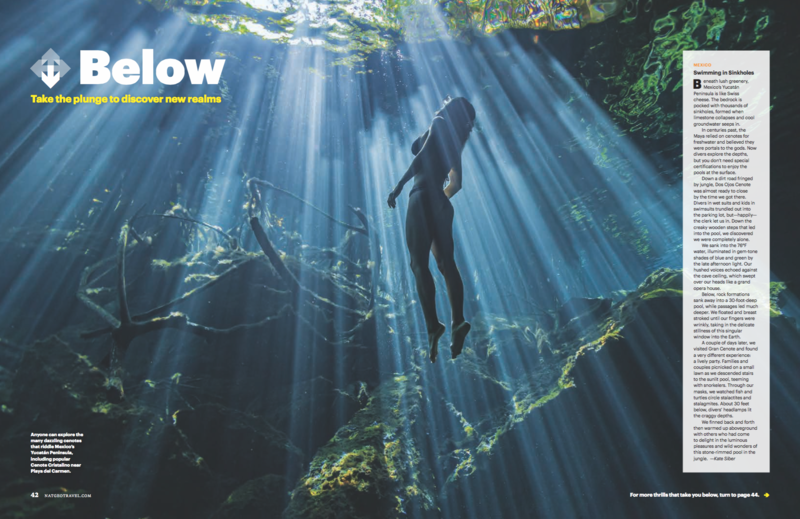 This is the gorgeous image the Nat Geo photo team chose to go with a short first-person story I wrote about swimming in cenotes for the October issue. It actually did feel kind of how this photo looks… Holy.